Playful and irreverent art is often the one that gives us insights on our reality through the use of the absurd. That is precisely what Indonesian artists Febie Babyrose, Ruddy Hatumena and Herbert Hans have set out to do. The trio met at the Institute Technology of Bandung, and they started collaborating under the name of Tromarama. Starting from video art, then exploring interactive installations, today their work spans multiple media and combines techniques such as woodcut, photocopy, collage, embroidery, painting, and drawing, and materials like charcoal, buttons, sequins, and beads. The themes are just as varied; urban culture, the cultural fabric of the city of Bandung and Indonesia’s political and cultural environment are all under Tromarama’s lens. In that versatility, there is always a common thread: the intriguing and humorous tone. The name of the group comes from our first work. 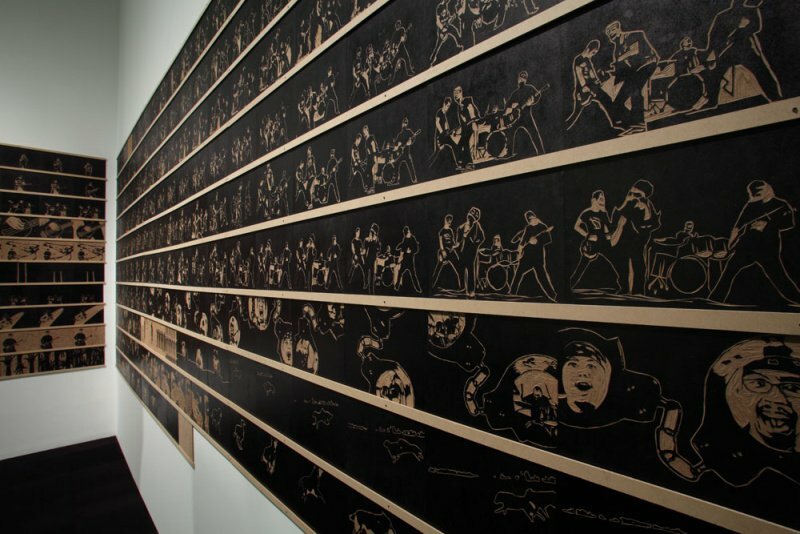 It was the music video Serigala Militia (2006) – a stop motion animation film of 4 min 22 sec, made of hundreds of woodcut plywood boards flashing in speeding sequence to the beats of Seringai, an Indonesian hard rock band. The production took one month and the process was quite labour intensive, comprising of daily carving wood. So for us it was quite a traumatic experience! So, it is like trauma and then rama is just to rhyme. We later found that rama, sounded like “panorama”, vision. So, maybe it stands for “traumatic vision” or something. We didn’t plan the name to be about vision. It is just a coincidence. How did you start as an artists-collective? We started the group in 2006. At that time, we were still in art school. One day, we decided to join this workshop held by a production house in Bandung. They taught students how to make music videos. 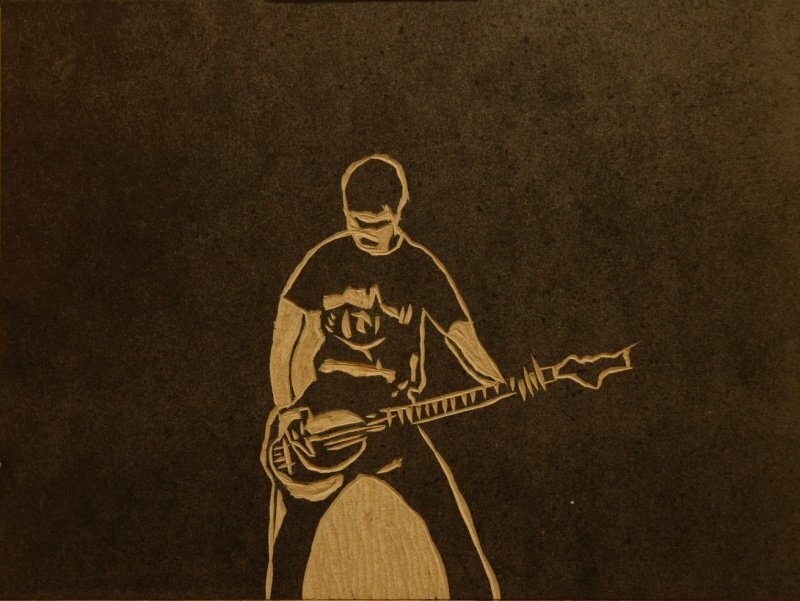 As a result of that workshop, we made that video Serigala Militia using woodcuts. Our backgrounds are different. I am from graphic design, Herbert is from advertising and Febie is from printmaking. In our first work we tried to combine those three techniques into one piece. Were you able to support your artistic production since the beginning? Did you feel welcomed by the market? There definitely is a good art market in Indonesia, but video is not sought after in the same way as painting or sculpture. In the past we needed to have projects outside the art to support our practice. Sometimes, if we were lucky, the museums collected the works. That helped us. In Indonesia, it is still a small market for new media artworks, but in 2008 we decided to focus solely on Tromarama and in the last few years we could finally start making our living only through the art. How do you usually present your work? 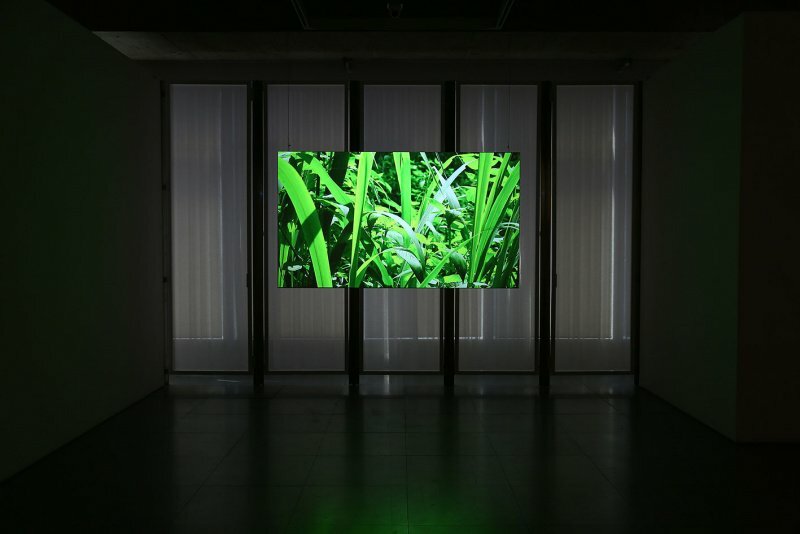 We often present our work combining video and installation. The video for us is a mental experience, while the installation is like a physical experience. We want the viewer to have both experiences at the same time. In 2008, after having made three music videos, we decided to dedicate ourselves exclusively to video art, but still using the visual language from music videos. 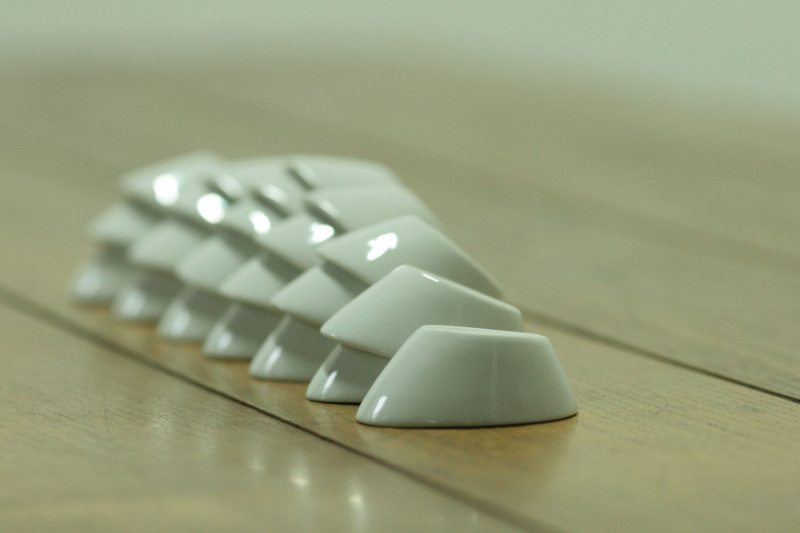 Our next experiment was then making stop motion using porcelain tableware in the work Ting* (2008). We find the use of porcelains again in ‘Ons Aller Belang’ from 2012, which tackled a recurring concern of yours, which is the changing urban environment. What inspired that work? We were interested in exploring the theme of the development of the city and how it relates with history. If you go to Jakarta from Bandung, you need to take a highway which opened around 2005. It was for the 50-year anniversary of the Asia-Africa Conference. After they made that highway, going between Jakarta and Bandung became really fast. In the old days, it took 5-6 hours to drive from Jakarta to Bandung. Today it is only 2-3 hours. So every weekend Bandung is really packed with tourists from Jakarta. Everyone from Jakarta comes to Bandung to have food or for shopping in factory outlets. Because of the affluences, new hotels and shopping malls opened up. So, the city itself changed. Having lived here in Bandung for almost 12-13 years, we have witnessed those changes. The old buildings from the Dutch area, if not used, were demolished or refashioned. For us, it is quite sad to see those old buildings being tore down. 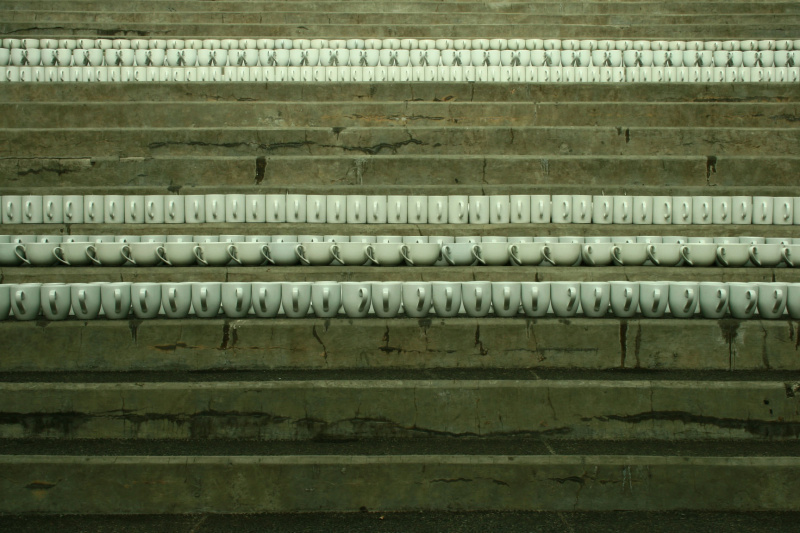 We felt sad, but we didn’t know why – so we felt compelled to make work about it. What is exactly this nostalgic feeling? What are we really try to preserve? Through our work, we try to question history and development. 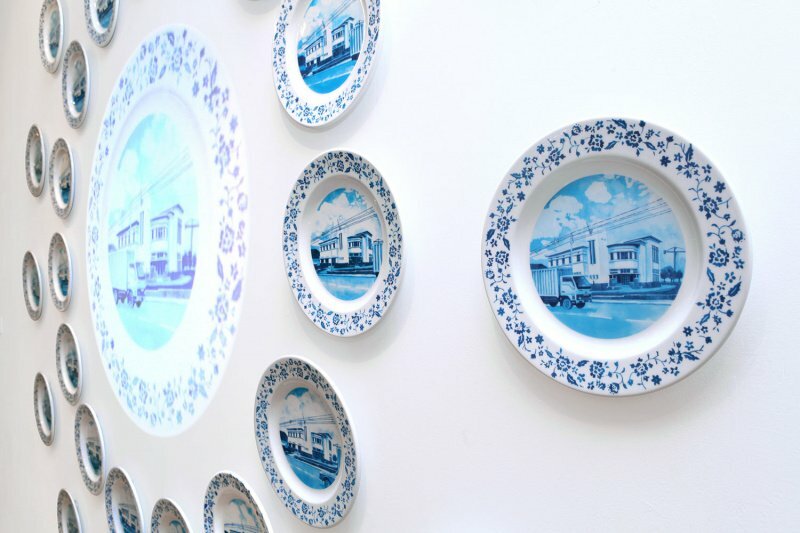 For this series, we also developed an installation which employed plates around a video, in the centre of the video, this installation is also frame by frame from the animation, but we wanted to put it as if it was a decoration inside the house. 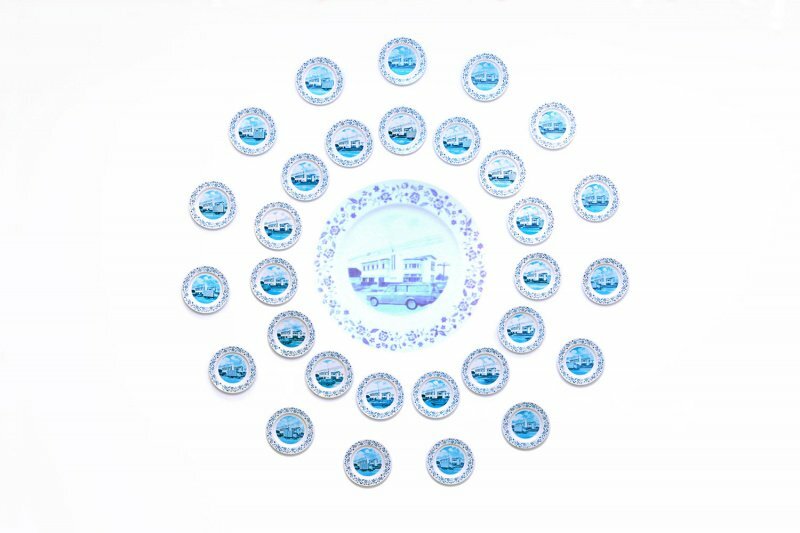 In Indonesia, it is quite common to see plates as a souvenirs if someone travels to the Netherlands. We wanted to show the strong connection Indonesians have with the Netherlands, which in the past colonized us. You combine concepts to create very compelling images, how did you get visual inspiration? I think some of our influences growing up came from MTV, Sesame Street, Disney etc. Our art in the beginning was about acknowledging the kid in us, our childlike imagination within the bodies of grown-ups. This is still how we see the world. It is from that perspective that we talked about political stuff, like the big 2010 banking scandal. Every day we saw the news on television, talking about money. Then, from our kidult perspective, we tried to show what we are in relation to money, and suggest to take a break from all of this conflict. In Indonesia, all the banknotes have the national heroes. In our video we imagined the national heroes going to the karaoke with their friends, their money friends, and singing songs. I was also interested to know more about your solo show Panoramix at Edouard Malingue Gallery in Hong Kong in 2015. The show was based on the idea of the virtual world redefining our existential experience. Could you please expand a bit on that? Nowadays, we are always living in two realities, the concrete reality and then the second reality, namely what we see inside our screens; the virtual reality. So, for this exhibition called Panoramix, we acknowledge these two plans have become mixed up in a third reality. In one work, we wanted to represent how fragile an image is. We represented virtual reality in a video, where the image was unexpectedly moving like a curtain in the wind. Suddenly your perspective is blown away – you realize that what you are looking at is fictional. Virtual reality for us is always unconscious in how we experience it, because it is all around us. It is a destructed reality. Maybe the show gave the public insights about our own idea of this third reality. For us, it was about creating an experience that is not actually real, but it feels like when you live in that dimension. You still feel it in a physical way. And in the way the public responded we could tell that people don’t want to break the illusion. 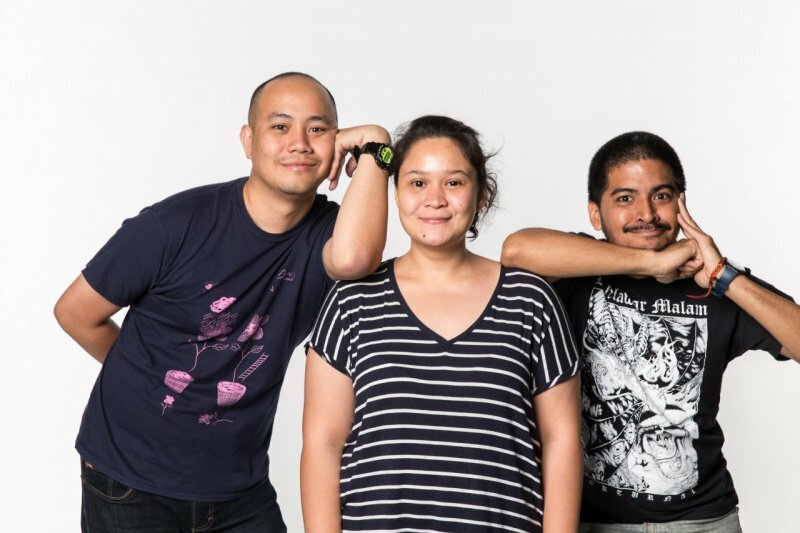 Tromarama is an artist collective founded by Febie Babyrose, Herbert Hans and Ruddy Hatumena in 2006. They live and works in Bandung, Indonesia. They studied in Institute Technology of Bandung in early 2000’s. At the first time the collective started working together by experimenting with a stop motion animation for a music video. Since then they’ve been working together as a collective and most of their work are video animation. They’ve been fascinate by the illusion that emerges from a cross-over between the real life and the virtual.